Carrie Sumner and her husband Marcel Bühler run Domaine des Enfants in Maury, in the Roussillion wine region in South of France. The closest biggest city is Perpignan. For a long time, wine making in the Roussillion was dominated by cave cooperatives. This means that individual wine growers would deliver their grapes to the cooperatives which would then make the wine under a cooperative label. Carrie testing the reds for the upcoming blending. In recent years, however, the Roussillion saw a change to this practise. An increasing number of wine makers run their own domaines and sell their wines under their own labels. This gives them more flexibility in the whole process of wine growing and making. One of these domains is Domaine des Enfants. Carrie and Marcel own vineyards in different parts of the region with different soils and grapes as old as 70 years. 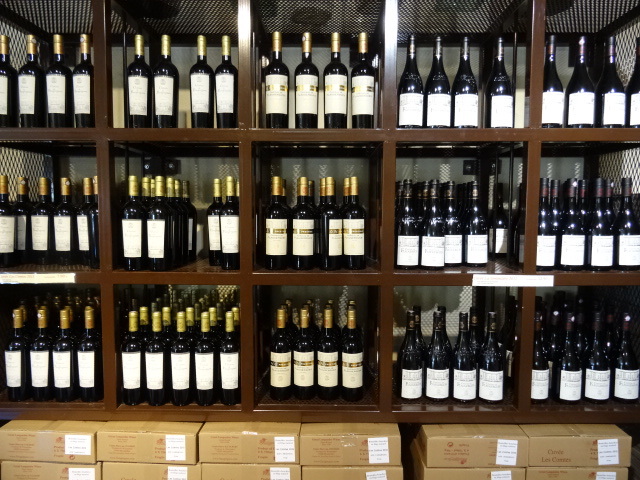 This diversity is refelcted in their complex and well-structured wines. From juice to wine: Hands-on wine making! After working in Alsace and Rheinhessen, the third stop on my wine around the globe tour is Domaine des Enfants, in Maury close to Perpignan. The wine growing region is called Roussillion and is part of France’s biggest wine growing region Languedoc-Rousillion. The domaine is run by Swiss Marcel Bühler and his American wife Carrie Sumner. I have the opportunity to stay two weeks at the domaine and get involved in various tasks. As it turns out, these two weeks cover pretty much all steps from picking the grapes to nearly bottling the wine. Follow me and learn what happens at these various stages and how juice turns to wine. Welcome to the Appellation d’Origine Contrôlée Maury . You want a wine experience that not only excites your taste buds but also your whole body? Even while you’re asleep? Then this wine accommodation is the place for you. Let me tell you first: I am totally overwhelmed by the abundance of wine in South of France and now understand, because I have seen it for myself, why France is the biggest wine producing nation on the globe. I am currently in South of France, in the wine growing region of Languedoc, and wherever I look there are grapes. You cannot not see grapes, you know what I mean? Domaine Ansen is a small wine estate in the village of Westhoffen, Alsace, just a short drive away from Straßbourg. It was established in 2012 by Daniel Ansen. Daniel owns 8 ha of vineyards spread over the wine hills in and around Westhoffen, which he works organically. This means he doesn’t use any chemical additives to make his wine nor does he spray his vineyards with chemicals. He grows all of the varieties that are permitted to be produced into Alsacian wine, with Riesling being his major variety. 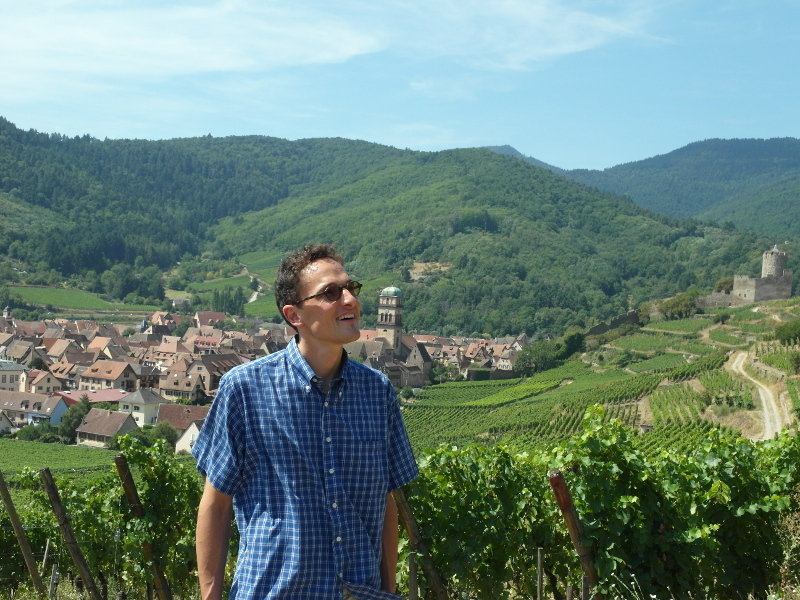 He produces mostly white wines, Pinot Noir and also Crémant d’Alsace.